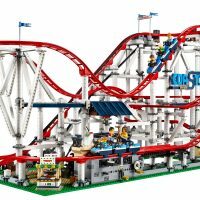 Tomorrow this Massive New LEGO Creator Roller Coaster will be released. 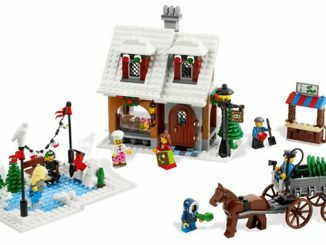 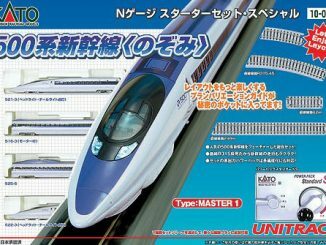 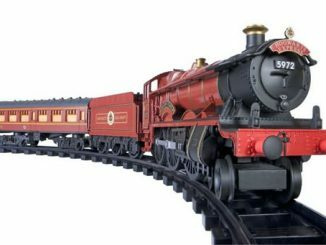 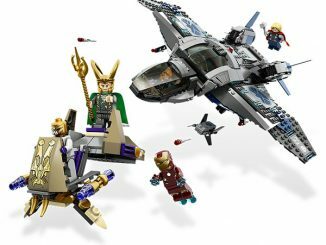 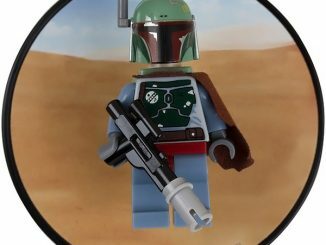 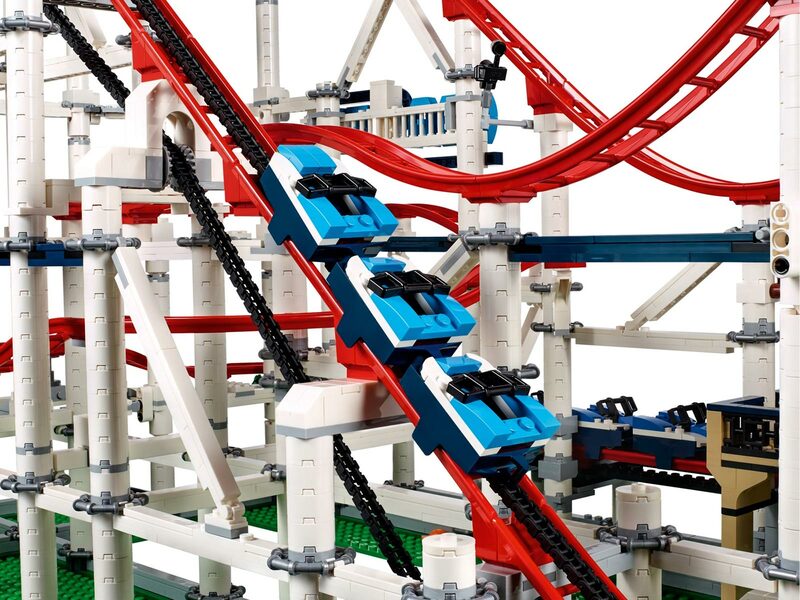 It isn’t just big, with over 4,120 pieces, it is incredibly detailed and fully functional! 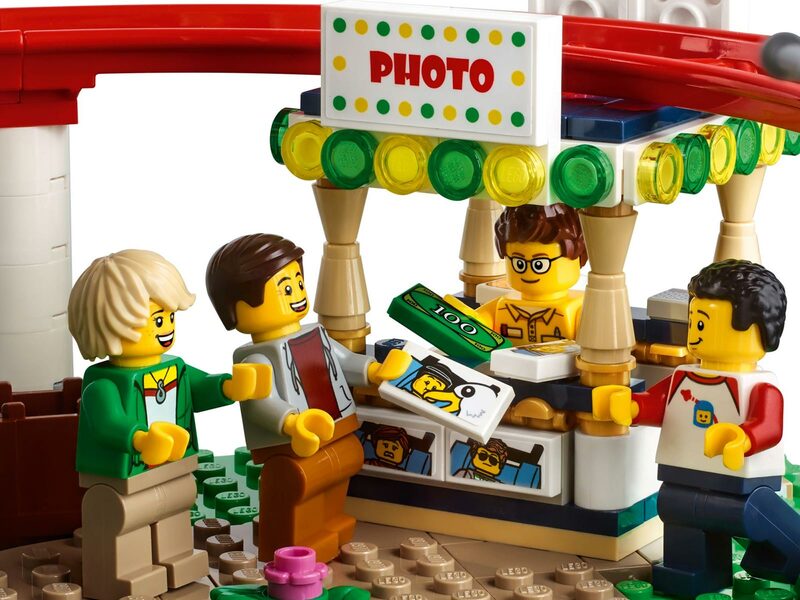 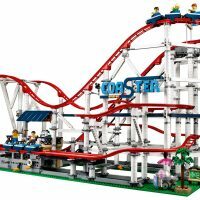 Plus it isn’t just a roller coaster, it is a nice start on an amusement park with a ticket booth, cotton candy cart, photo stand, fountain, waiting area, pond, concession stand, and 11 minifigures. 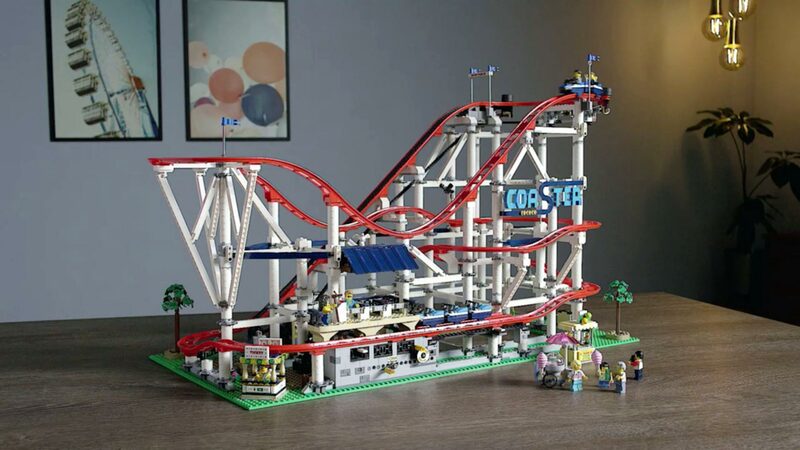 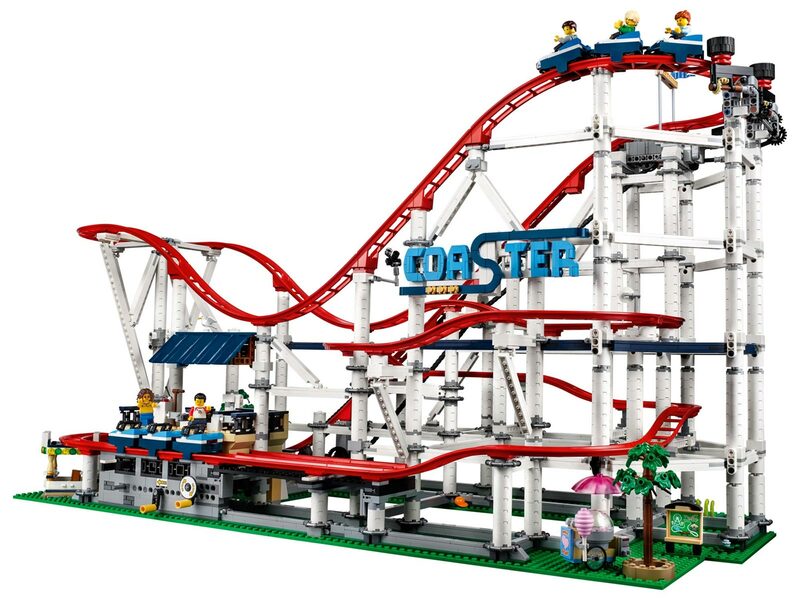 LEGO Creator Expert Roller Coaster #10261 is 34″ wide, 20″ tall, and 16″ deep when constructed. 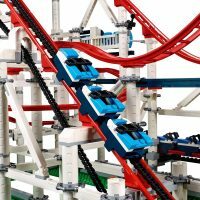 It is fully functional with a chain-lift, low friction wheels so the 3 train cars glide along the track, and a wheel brake at the end. 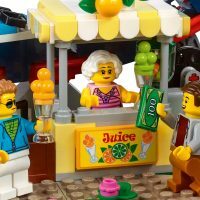 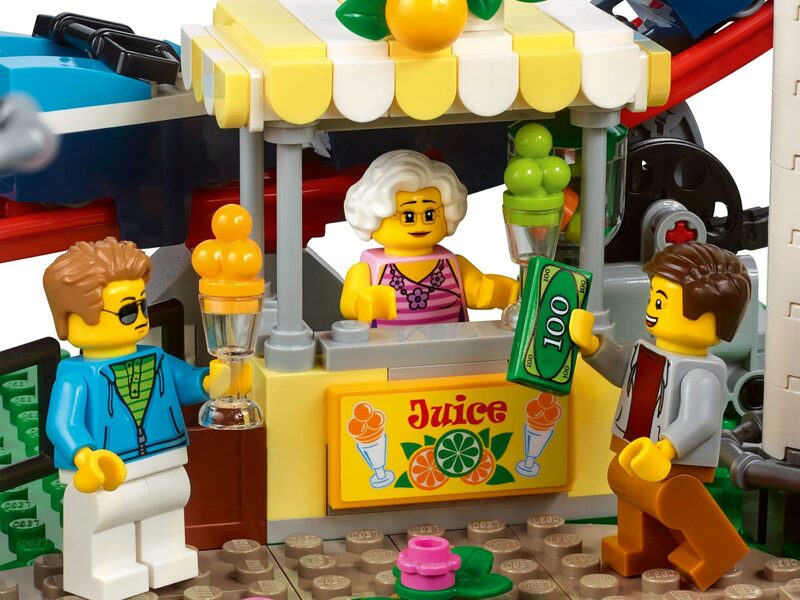 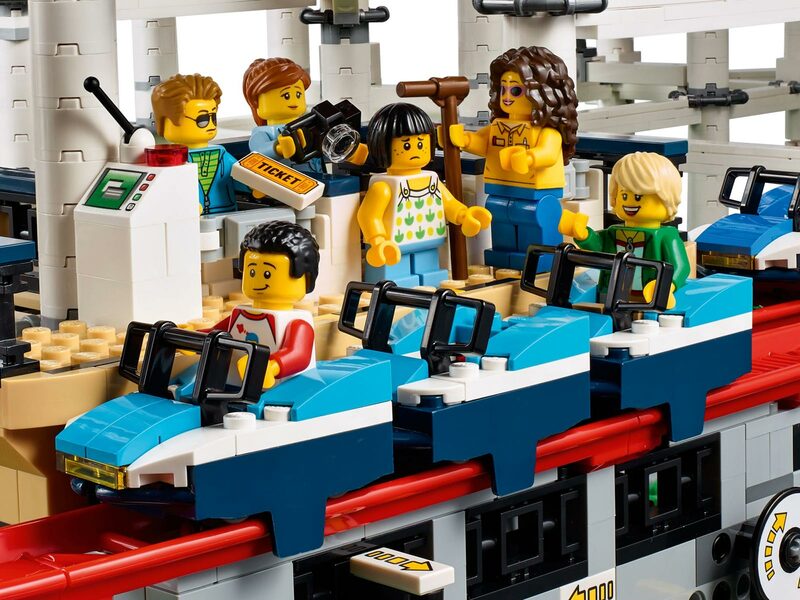 The minifigures include 5 rides, 2 ride attendants, a cotton candy vendor, 2 grandparents, and a granddaughter. 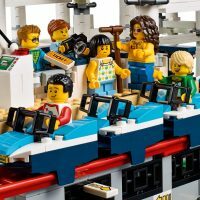 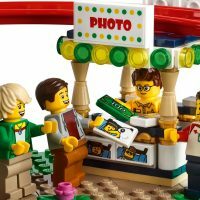 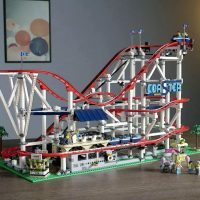 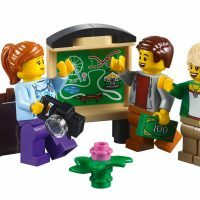 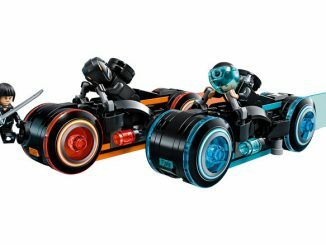 LEGO Designer Robert Heim reviews the new 2018 LEGO Roller Coaster Creator Expert set AVAILABLE June 1st! 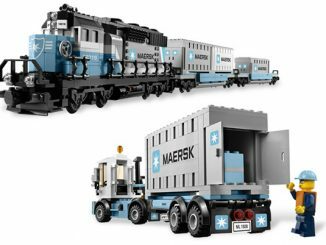 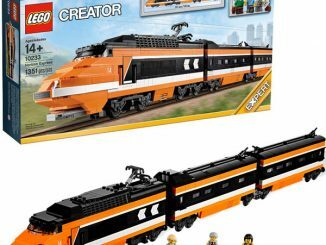 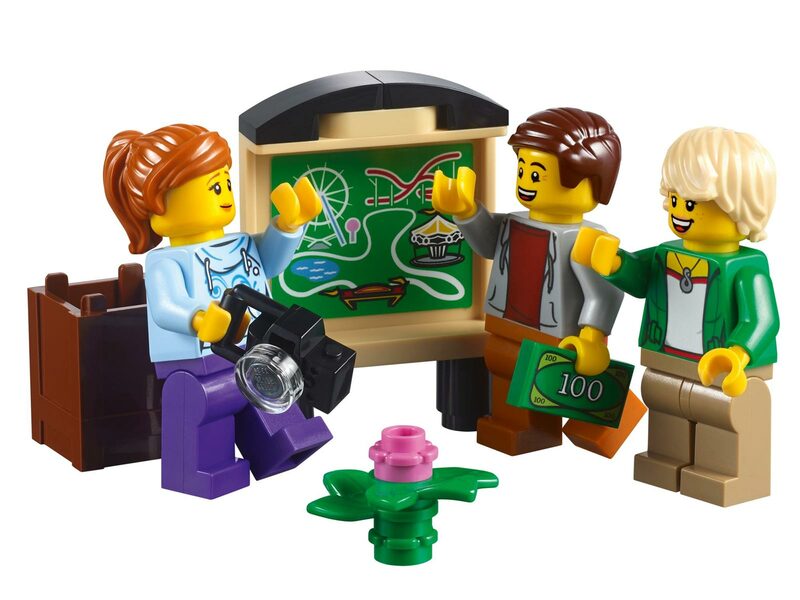 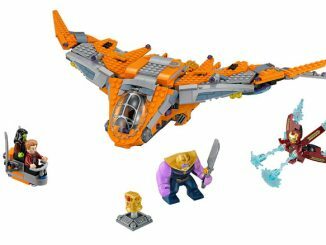 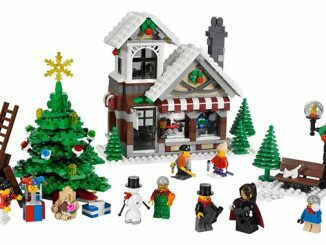 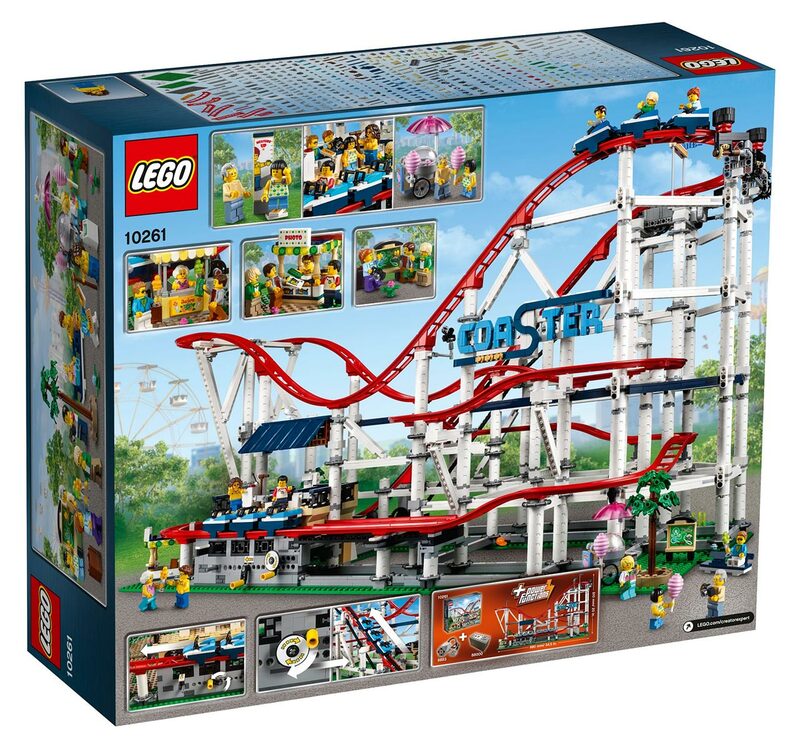 He takes you through all the details such as the build, the new tracks, the minifigures and other amazing details on this set that will look great in your LEGO amusement park! 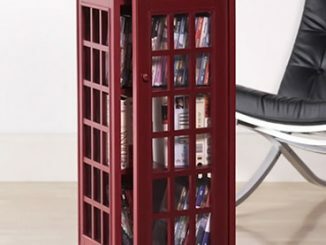 Measures over 20″ (53cm) high, 34″ (88cm) wide and 16″ (41cm) deep. 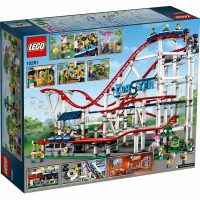 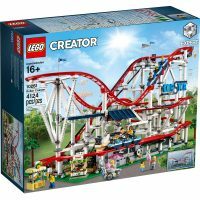 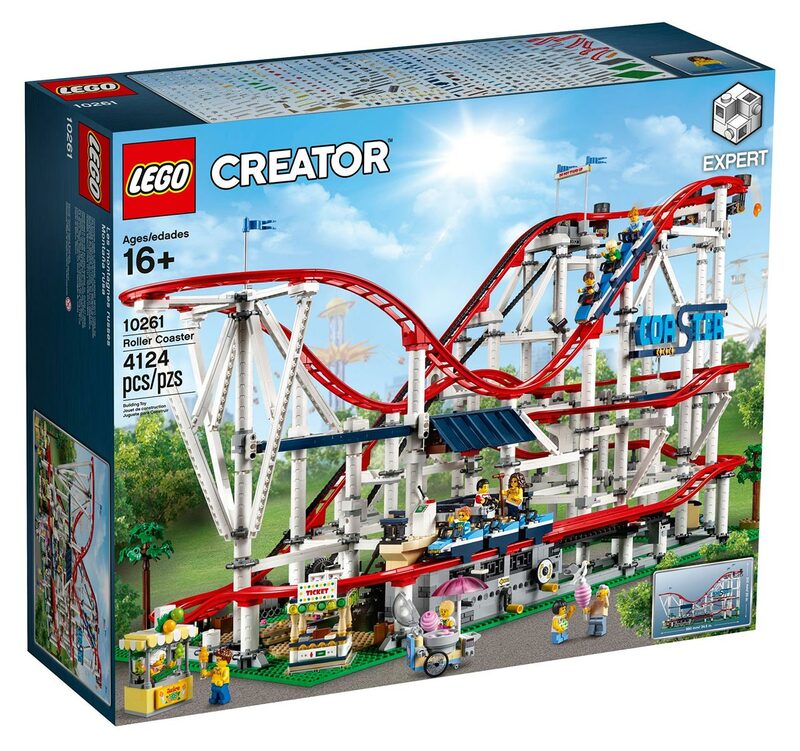 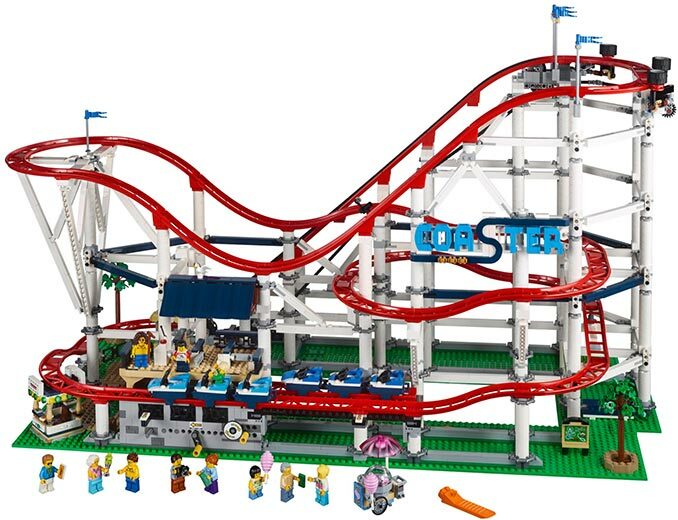 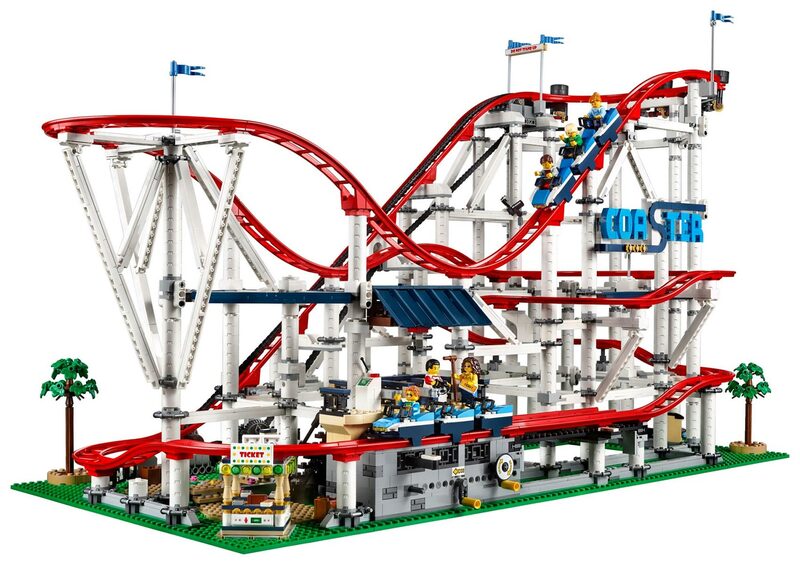 LEGO Creator Roller Coaster is $379.99 from LEGO Shop.